The Iao River on Maui, whose Iao Valley was the scene of the battle of Kepaniwai ("damming of the waters") in 1790. So many warriors died that the river was jammed with their bodies. Today the river runs clean and free -- and is still a very sacred place. Someone asked me the other day what Ho'oponopono is about, and what we are "cleaning" when practicing this process. Morrnah Nalamaku Simeona, the Kahuna Lapa'au who was inspired in meditation to simplify Ho'oponopono for modern times, provided one of the best answers to this I've ever read. Ho'oponopono literally means "to correct an error," or "to make right." But what kind of errors are we talking about, and what is there to make right? "We are the sum total of our experiences, which is to say that we are burdened by our pasts. When we experience stress or fear in our lives, if we would look carefully, we would find that the cause is actually a memory. It is the emotions which are tied to these memories which affect us now. The subconscious associates an action or person in the present with something that happened in the past. When this occurs, emotions are activated and stress is produced. The main purpose of this process is to discover the Divinity within oneself. The Ho'oponopono is a profound gift which allows one to develop a working relationship with the Divinity within and learn to ask that in each moment, our errors in thought, word, deed or action be cleansed. The process is essentially about freedom, complete freedom from the past." The more times I re-read this, the more it intrigues me. Ancient Hawaiians certainly pre-dated Freud, and understood that unconscious/subconscious memories influence current behavior. These memories have nothing to do with people in our present, so they're misplaced -- and are "errors." They lead to further errors downstream in thought, word, and deed. Modern psychotherapeutic treatments analyze these memories, hoping that this will loosen their grip on the person's present moments. Sometimes this is helpful in changing behavior; sometimes not. The person still has to apply the insights and practice doing things differently. Ho'oponopono deals with memories too -- but does not try to analyze, interpret, manage, or cope with them. And the memories concerned apply to the person's soul throughout time, not in the current lifetime alone. Rather than analyzing, Ho'oponopono provides a process that connects us with Divinity within, moment to moment. We can ask Divinity -- the only One who can cleanse or erase memories or thought forms -- to address whatever is arising in our experiences: anxiety, sadness, anger, mistakes, delays -- anything. Fortunately, Divinity also knows our individual blueprints, and can transmute whatever memories are "up" for release at the time . . . without our ever knowing what is going on. Morrnah believed that we are laden with memories -- dating from all the way back to when we were "seaweed." It's just a part of being on the earth plane. These memories are held within the Inner Child (or Unihipili) part of us, and can manifest in anything from depression, addiction, and heart disease to events beyond our bodies like car accidents and natural disasters. The land and everything on it can contain memories too. Morrnah also believed that the Ho'oponopono process allows each of us to individually petition Divinity for help letting go of these memories or errors -- allowing things to be made right, or "pono." As these memories are released, so is our stress and other problems. An added bonus: the memories come off of not only us, but everyone and everything connected to them also. She recommended that health care practitioners be especially mindful to do Ho'oponopono before treating each client or patient. Otherwise, we can be like ground zero for all manner of pain and suffering. I've broached this with some of my colleagues, and some are curious about this interesting way to address physician burnout. Others simply give me the fish eye. :-) Of course, none of this is evidence-based in terms of modern science, so how can we know it has any effect? We really can't; we have to personally choose what we'll do. Some long-time practitioners like Dr. Hew Len and Kamaile Rafaelovich are able to see the process occurring. Yet even they don't claim to know what all of it means; only Divinity sees the whole picture. Dr. Hew Len often says, "my only job is to clean." While walking in Maui's Iao Valley recently, I thought about this cleaning. Despite the bloody battle in 1790, the Iao River runs fresh and invigorating today. The air around it is energizing; the land exudes sacredness. I felt Divinity cleansing me like this river, washing through every part of my being. There's no way to know all the experiences my soul has collected over time, or how they may impact people with whom I interact. I'm so grateful to Morrnah for her wisdom, and for the Ho'oponopono cleansing process that allows me a way to work with all this -- even though I don't know what's what. While on the island, I met a kahuna who told me she saw "Auntie Morrnah" standing behind me. Tears sprang into my eyes when she shared this. How could she know that I feel this woman I have never met, around me all the time? Much occurs in this world, that I do not understand. Thank you dear Morrnah, and for your students Dr. Ihaleakala Hew Len and Kamaile Rafaelovich who have become my teachers in the flesh. They have a lovely book called "Blue Ice: The Relationship with the Self," that you can read if inspired. I love it; it's brief, to the point, and provides ever more beauty and grace with each reading. Ho'oponopono Cleaning: When is a Blueberry More Than a Blueberry? One question people often ask about Ho'oponopono, is "What is a Ho'oponopono cleaning tool? What does this mean, and are there more than one?" Ho'oponopono is a spiritual practice and way of life. It incorporates an attitude of 100% responsibility, humility, and gratitude in every moment. It's a process of making things right, or "pono." The idea is that Divinity created us in perfect alignment and rhythm with Itself, and our true nature is this state of "zero." At zero we can feel peace and receive divine inspiration, which guides us. When we then take inspired action, what's right and perfect for us comes into our lives. Unfortunately we also hold unconscious memories (or data) inside us -- blocking our awareness of our true selves. These memories can also show up in our lives as problems, discord, fear, illness, war, and other unpleasant experiences. Ho'oponopono is a method of solving these problems by recognizing what they are: manifestations of memories ready for release. This involves "cleaning" these memories from ourselves -- and as we do this, they're removed from everyone else too. It's important to realize that in doing this cleaning though, we're working with what's inside US -- not "on" anyone else. Although all this may sound overwhelming, it really doesn't have to be! According to Dr. Ihaleakala Hew Len, "Problems can be solved without knowing what the heck is going on! Realizing and appreciating this is sheer relief and joy for me." This Ho'oponopono problem-solving process utilizes "cleaning tools." Many people are familiar with the phrases: "I'm sorry, Please forgive me, Thank you, and I love you." These are certainly cleaning tools, and using them initiates the process of letting go so that Divinity can transmute problematic memories without our having to analyze them. All we need to do is recognize the fact that we have them, and that they're reminders to remain humble and work with Divinity for their release. Cleaning tools aren't limited to words, though -- and this is wonderful for bypassing the intellect! Otherwise, our Inner Child (an innate part of us, and essential in the cleaning process) might be confused. In the photo I've shown blueberries, one example of these tools. 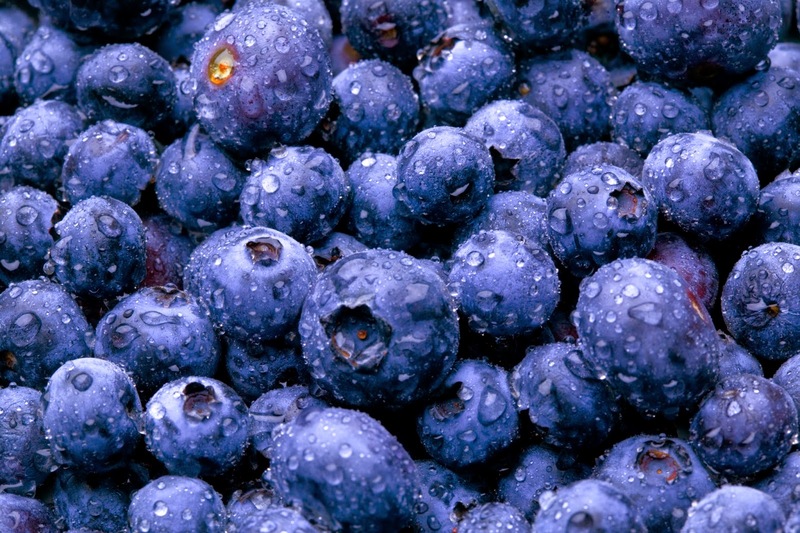 Blueberries can be eaten physically, or in the imagination. They're said to be aligned with angelic kingdoms. Other cleaning tools include hot chocolate, blue solar water, candy canes, light switch -- and many, many more. These tools are unique, and may appeal to different people in different situations. But they all accomplish the same overall result: initiating the cleaning process rather than getting embroiled in the seeming "problem." Our choosing to use them in the first place is a life-affirming choice -- as I shared on this blog last week. I used to think we had to memorize the various cleaning tools in order to know "how" to use them correctly . . . as if the cleaning depended on intellectually getting it "right." Thank heavens it does not, or we'd all be even more burdened than we are already! The delightful thing about blueberries (besides the delicious way they taste) is that simply choosing to use them signals Divinity that we're willing to let go. From here, Divinity transmutes as S/He sees fit -- and we can get back to Zero, our essential self. Drinking a cup of hot chocolate or blue solar water will do that too, just a little differently. Kids love games, and these seemingly nonsensical "tools" are fun for our Inner Child. Through offering and using these visual tools, we can engage and teach our Inner Child to do the Ho'oponopono process, just as we grownups are learning to do. As the adult (or mothering one), we can play with our Inner Child in a loving way, while also modeling skillful ways of living. When confronted with a problem, it's also possible to ask Divinity: "How do I clean with this?" An inner answer may come, perhaps in the form of an image (a cleaning tool). This may seem goofy to those of us who think of ourselves as scientific. But according to Dr. Hew Len, "the goofier it is, the more likely it is to be from Divinity. Divinity has a great sense of humor." This is absolutely perfect for me -- it lets me bypass all the mental junk I can get so stuck in otherwise! Worrying, judging, and generally obsessing are only making things worse. Give me a nice handful of blueberries any day! In case you're wondering, strawberries (red berries) happen to also be Ho'oponopono cleaning tools.